Your donation to the Nianjema Teachers' Fund will support up to 50% of the tuition for each child. 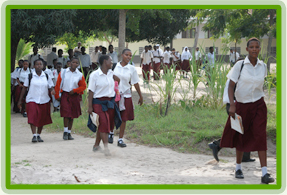 While Nianjema teachers receive salaries that are well beyond the national Tanzania teachers’ salaries, their average salaries at $5,000 per year (secondary) and $3,000 (primary), making it difficult to pay annual tuition. You may donate directly to the Teachers' Children Fund. If you have any questions, please contact Daphne Sloan, tef.executivedirector@gmail.com. Click here for more information on donating to Nianjema schools.